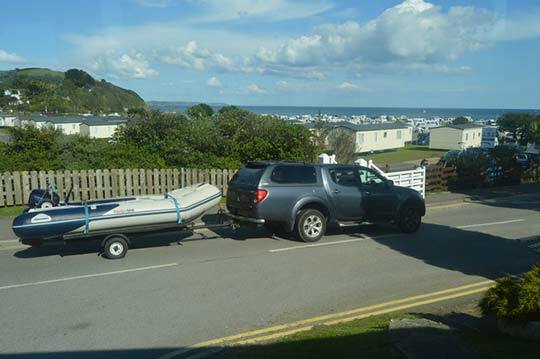 It is advisable to let a professional take over when towing a boat instead of one opting to do it personally. It requires a lot of technical skills and proper tools in order to tow a boat safely. Nevertheless, sometimes there are situations where one has no choice but to seek assistance from a fellow boat rider or a friend or one is forced to tow the boat single-handedly. So boat riders are advised to always read instructions in details so as to be skilled enough to handle emergency situations. Steps to be followed in towing a boat. Below are 9 safety recommendations to follow when towing a boat. They have been separated into multiple categories for easier reading. Where possible, the tow line should be fastened to the bow eye. The best place to fasten the tow line to the boat that is being towed is the bow eye. However, there are boats where it can be difficult to reach the bow eye from inside. Create loops using bowlines because bowlines don’t tighten under pressure and they do not slip. Use adequate line. The towline should be at least 50 feet, but the best length should be 100 feet. A long line acts as a shock absorber. One should also keep in mind that the boat to be towed has no means to slow down; hence a longer line is a crucial safety measure. A knife should be easily accessible when towing. In case the boat begins to sink, or any other reason, one should be ready to cut the towed boat loose. Outdrive or outboard motors ought to be left down the towed boat to provide stability in direction. It is of importance that they are not turned to another side. Try directing the weight of the towed boat towards its stern if it persistently swerves sideways. Communicate often enough. You should be capable of communicating with the crew in the other boat and likewise for them. Come up with several hand signals for cutting loose, stopping, speeding up and slowing down in a situation where you are not able to use phones or radios. Even in the safest situations, towing a boat is a dangerous task. It is therefore advisable for all crew members to wear personal flotation device for safety purposes. One should try as much as possible to avoid coming next to another boat. This is because; waves can cause the boats to slam together, even worse, crew members can be trapped between the two boats. One should instead, throw a tow line from a distance to the other boat.